GO VIRGINIA CAVALIERS!! 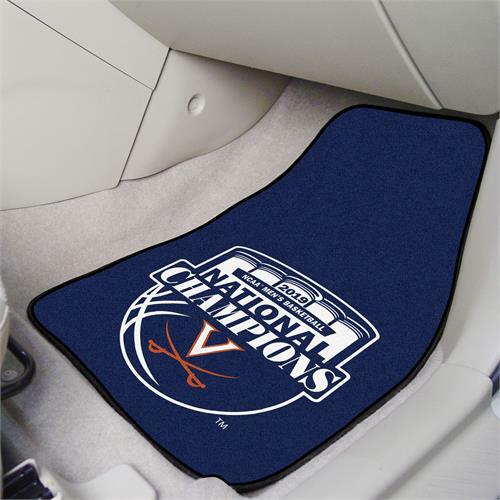 Celebrate the Champions with commemorative Virginia Cavaliers 2019 NCAA Men's Basketball National Champions Carpet Car Mats. 100% nylon face with non-skid vinyl backing. Universal fit makes it ideal for cars, trucks, SUVs, and RVs. The officially licensed mat is chromojet printed in Virginia Cavaliers colors and designed with a large team logo. Made in USA.